Video conferencing technology is enlarging the classroom and improving educational opportunities. After class at a large university, a student packs his bags and walks to his apartment. When he gets home, however, he struggles with an assignment, working on the same problem over and over again. Determined to get some help, he resolves to go to his professor’s office hours. He flips open his laptop and connects to his instructor’s virtual office hours in a videoconference call. 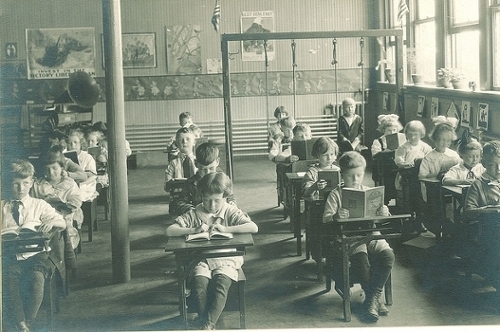 21st century classroom. Looking for an intellectually safe, comfortable place that encourages peer interaction and tactile connections with course materials? Video conferencing ushers in a new kind of clasroom. Courtesy Internet2; IDSolutions; Vidyo. This scenario, and many others in education, is quickly becoming possible due to Flame video conferencing offered by Interactive Digital Solutions (IDSolutions) and Internet2’s NET+ initiative. “A group of our member campuses including Arizona State, Emory, and Northwestern worked together with ID Solutions and Vidyo to develop this unique offering, and make it available at national scale for the entire higher education community,” says Andrew Keating, Internet2 director for Cloud Services. Supporting massive online courses (MOOCs) is one way the partnership will benefit students and educators. 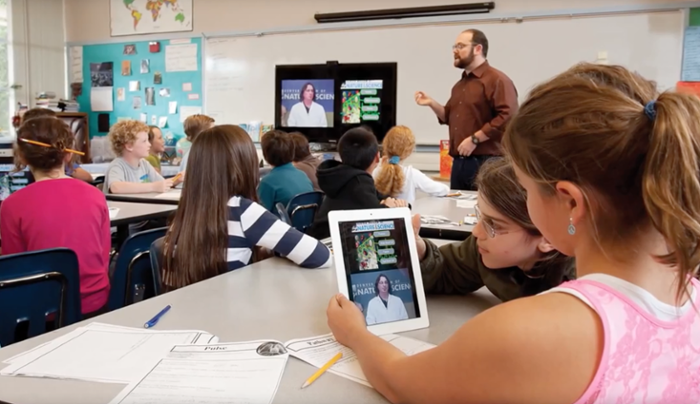 Teachers can utilize a wide variety of materials, including lectures, readings and other sources to instruct students online from any location using videoconferencing to connect with large classrooms or individual students. While the Internet2 backbone is an ideal high speed, low-latency network for connecting member’s institutions together, there are students who need to connect over the public internet when not on campus. In the case of the Flame service it also provides that cross-over capability with ultra-low network latency. “If you look at the demographics of a homebound student, they generally don’t have an Internet2 connection in their home,” says Pat Cassella, vice president of Marketing and GOV-ED Sales at IDSolutions. One specific use-case for Flame is live event broadcasts both on and off campus. Instead of relaying important announcements over the PA system, school administrators can address the student body over video that’s broadcast into each classroom. This provides a more personalized approach to communicating information during the school day. Another application is the ability to conduct student-teacher after-hour conferences virtually. A student can log into their computer and connect with their instructor online, saving a trip to the school and allowing for more personalized one-on-one teaching. While the scene sounds like it’s straight out of the movie Back to the Future Part 2, it is in widespread use today and changing the way our students learn both in and outside of the classroom. The Internet2 NET+ program aims to apply cloud and trust solutions for the research and education community, such as user mobility for scientists concerned with problems such as scalability. Previous videoconferencing services often relied on clunky hardware & equipment. One of the advantages the IDSolutions and Internet2 partnership has is that it streamlines the video conference call process with cloud-based services. To learn more about the partnership, visit the IDSolutions education page or the partnership’s page on the Internet2 site.